An animal cruelty complaint that sent authorities to "Dog Whisperer" Cesar Millan's rehabilitation center has been blown way out of proportion, the dog trainer said Friday. 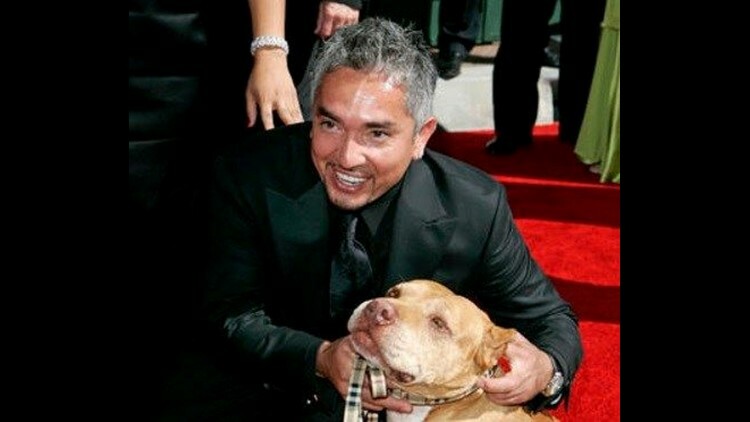 LOS ANGELES (AP) — An animal cruelty complaint that sent authorities to "Dog Whisperer" Cesar Millan's rehabilitation center has been blown way out of proportion, the dog trainer said Friday. The complaint was started online and based on footage from Millan's television show "Cesar 911," in which a French bulldog-terrier mix named Simon chases a farm pig and nips its ear, making it bleed. The complaint is misguided because it was a happy ending — the pig was fine and the dog was rehabilitated, Millan said. Animal control officers and sheriff's deputies visited his ranch Thursday night, but no action was taken. In a telephone interview from Iowa with The Associated Press, Millan said that when he returns from his speaking tour, he would cooperate fully with both departments. The dog trainer who television made famous said he has used the same technique to help aggressive canines hundreds of times. The training involves getting the dog together with the animal it doesn't like (whether it is another dog, a cat or a horse) so the two can learn to get along. Millan, 46, is a self-taught dog trainer who became internationally known for his work on a previous show, the "Dog Whisperer," which won him an Emmy nomination. "I do have a large group of fans and a small group of people who don't agree with me. They are taking this the wrong way and blowing it way out of proportion," Millan said. Calls and emails were not immediately returned by Los Angeles County Animal Control. The Los Angeles County Sheriff's Department, whose deputies accompanied animal control to Millan's center in Santa Clarita, confirmed there were no arrests or animal seizures on Thursday night. Millan was working with an aggressive dog named Simon, who was attacking his owner's pet pot-bellied pigs. A promotional clip on National Geographic's website showed Simon chasing a pig and biting its ear. The clip was altered with music from "The Exorcist" horror film and type describing what they said was happening. Jill Breitner initiated the petition on Change.org, calling for Nat Geo WILD to take the show "Cesar 911" off the air. Friday morning, the number of signatures was closing in on 10,000. A new clip was released Friday showing the full context of the encounter, said Chad Sandhas, senior director of talent and media relations for National Geographic Channels. In it, the pig is calm and is tied to Simon with a long leash, as if taking him on a walk. The show initially aired on Feb. 26. The pig was tended to immediately, healed quickly and showed no lasting signs of distress, Sandhas said. The extra clip reveals that "Cesar and his animal pack effectively helped Simon to overcome his aggressive behavior toward other animals; as a result, Simon did not have to be separated from his owner or euthanized," he said. In her petition, Breitner called Millan's methods "inhumane" and demanded his show be taken off the air. "This is not the first time (Millan) has used bait animals," Breitner wrote in the petition. "This is wrong!" Millan countered: "This is the first time I had a dog that needed help from pigs. In order for a dog to lose his fear of something, it has to become friends of it." This story has been corrected to show TV pig is farm pig, not a pot-bellied pig.